The successor of the Samsung Galaxy S may be the Sammy phone everyone is talking about, but that didn't stop the Korean manufacturer to announce four low- to mid-end GALAXY handsets - the Ace, the mini, the Gio and the one you are reading about right now - the Samsung GALAXY Fit. The last time Samsung targeted this market segment, the Korean manufacturer offered a pair of decent affordable handsets - the Samsung Galaxy 3 and the Galaxy 5, so it's time to ask ourselves - can the same be said about the GALAXY Fit? There is nothing extraordinary about the way the Samsung GALAXY Fit looks like, but we can only compliment its build quality. Fair enough, it's predominantly made of plastic, but you get that feeling of a good craftsmanship when you hold the GALAXY Fit, and the chrome-like bezel surrounding the phone further helps this perception. 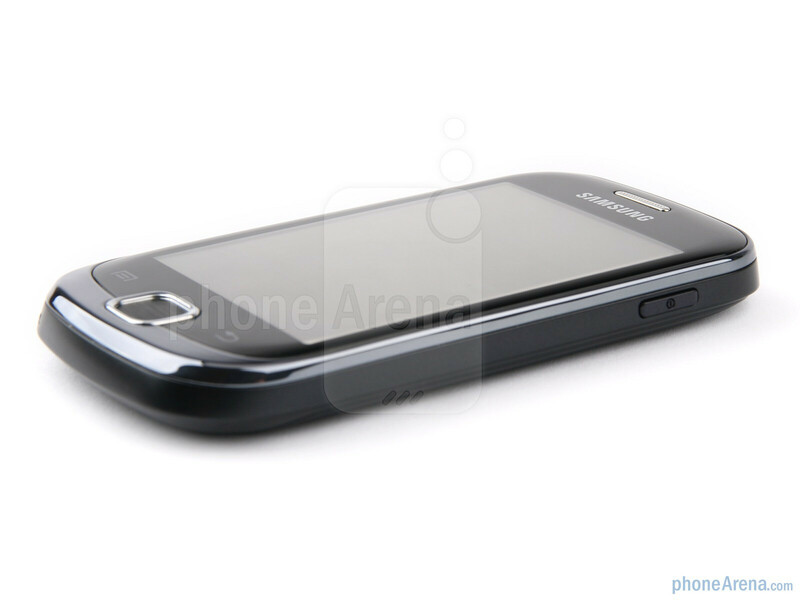 Moreover, the trademark black glossy plastic (which is a finger print magnet) we know so well from the back sides of various Samsung handsets (like the Galaxy 5) is replaced with the finger print-resistant plastic of the GALAXY Fit. You can compare the Samsung GALAXY Fit with many other phones using our Size Visualization Tool. This phone sports a 3.3-inch capacitive screen with a resolution of 240 x 320, which ensures that the items on the screen don't look particularly great. On the other hand, we were pretty pleased with the viewing angles of this phone, and its screen visibility under the sun is nothing to frown about either. Furthermore, the responsiveness of the capacitive screen is exactly what it should be, i.e. very good. 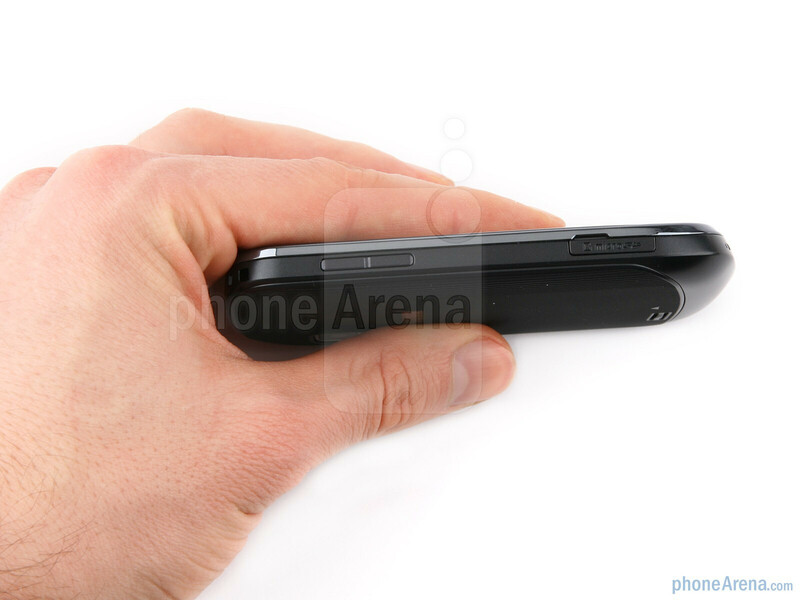 On the front side this handset has one physical button at the center, which looks a lot like a d-pad. However, it's not a d-pad - actually, its sole functions are to take you to the home screen and to bring the task manager (after a long press). On the left and right of the physical button are positioned two touch sensitive ones (menu and back respectively). 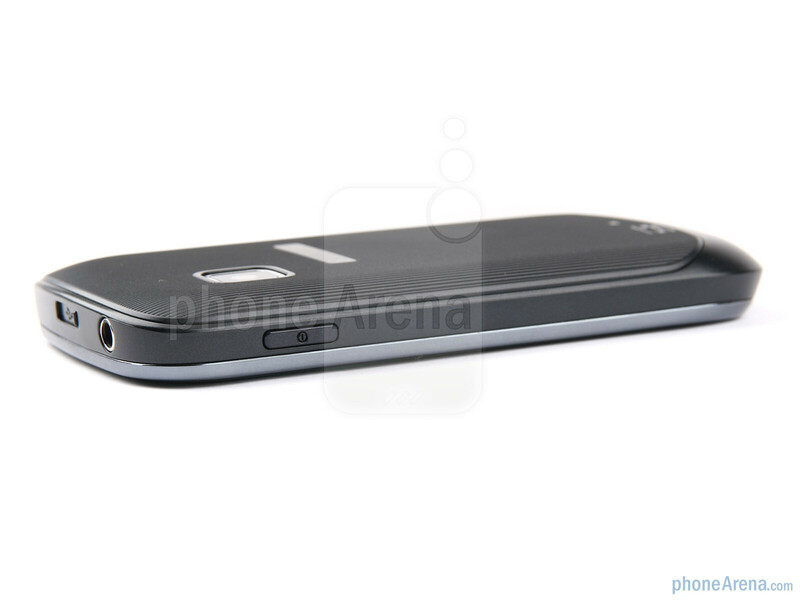 On the upper right side of the handset resides the power button, while on the top side are the microUSB port and the 3.5mm headphone jack. 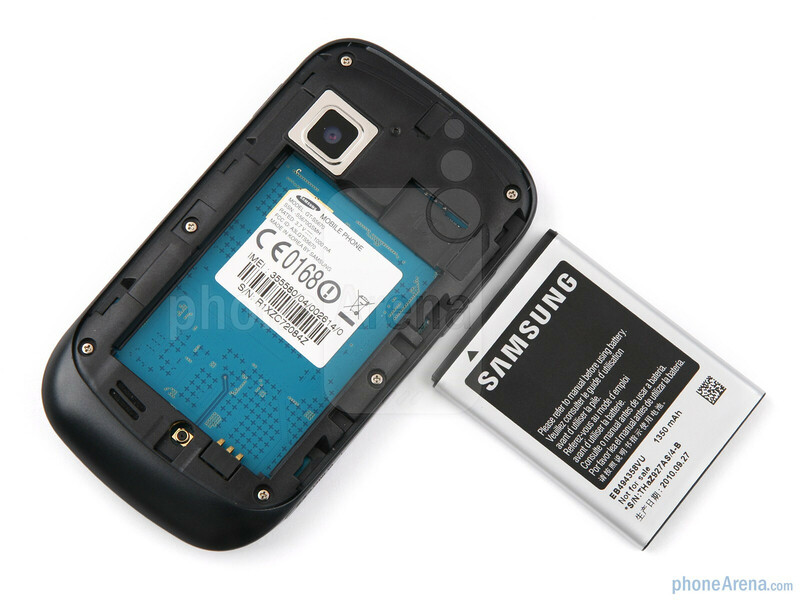 On the left are the volume rocker and the microSD slot. 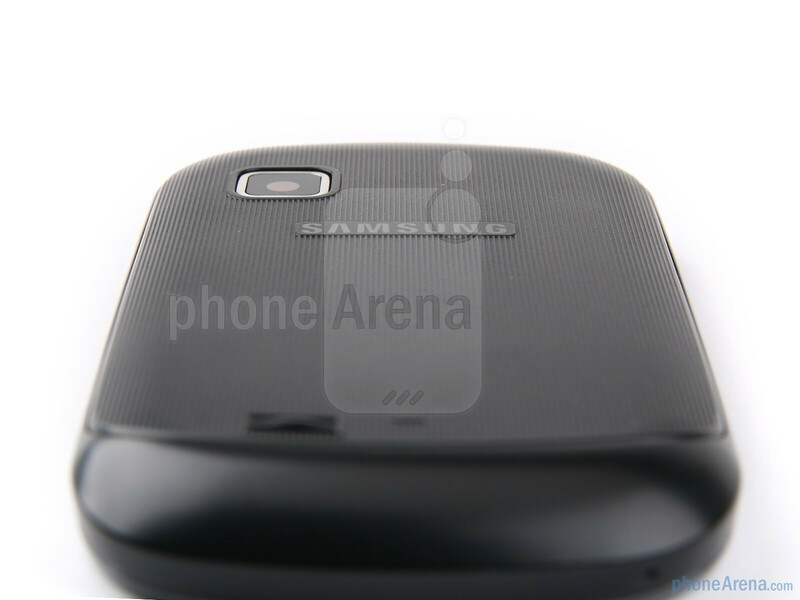 The 5MP camera is on the back, but unfortunately a dedicated camera button is not included. All in all, the Samsung GALAXY Fit feels good in the hand. What we like most about it is that it feels sturdy without being bulky, and we have no reasons to doubt its durability. Moreover, the fact its back side is not a finger print magnet is refreshing in itself. It is already up for pre-order in India for about 12000 INR ($270) which makes it totally unjustified buy. 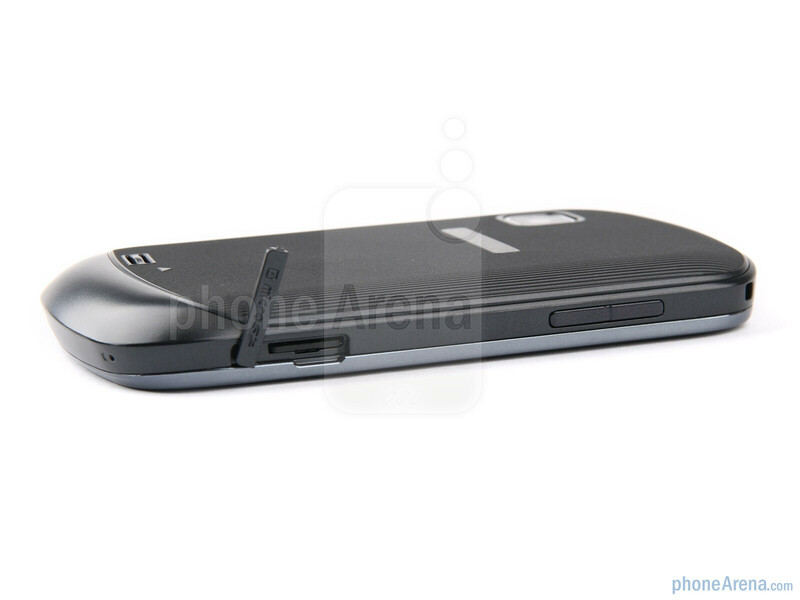 It has poorer resolution & features compared to the LG Optimus One. Totally fail. I just bought this phone for 9900 INR here in India. 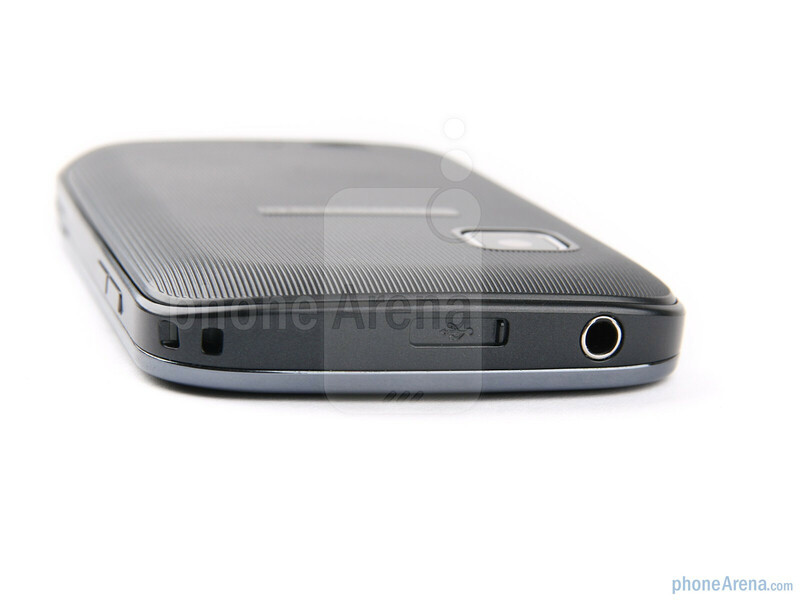 LG Optimus One sells for 11700 INR and is currently not readily available. So, the LG Optimus One is about 20% more expensive. Going by the budget limits (10000 INR) and my requirements (some online work at workplace mainly like looking up for drug dosages etc. with no special interest for games or videos), Samsung Galaxy Fit was the best buy for a low range smartphone. Till now, experience has been very good. 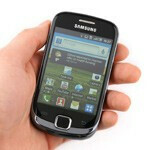 Excellent fone in the budget range of Rs.10,000. 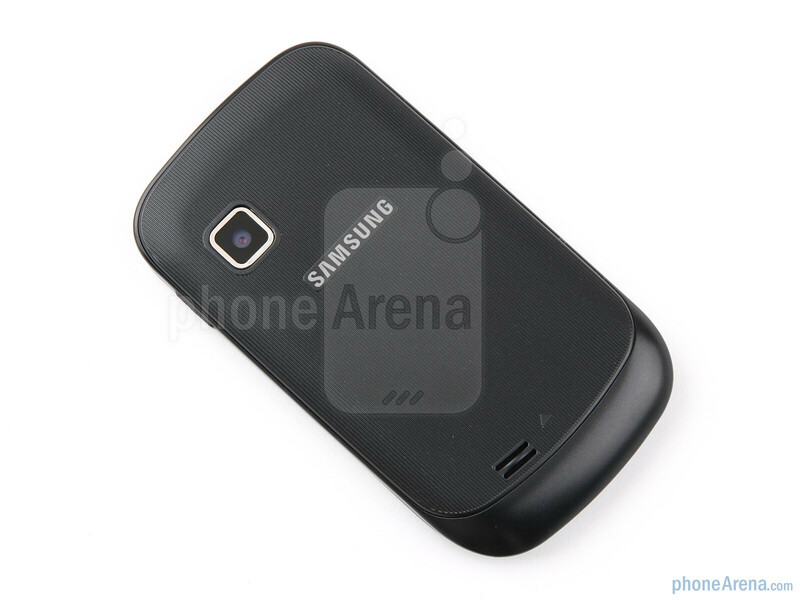 Fit for mr and also the assurance of Samsung.. I have samsung galaxy fit i don't know how to forward messages from ma mobile. Please help me. Thanks. Dear Anup when ever you want to forward a particular msg, press and hold your finger on that msg for 2 secs and you will get the option to forward .i hope my answer will help you. does its can save unlimited sms in inbox? depends on memory.. I bought galaxy fit for just rs 10760 INR rs from MOBILE Store India , And found great experience with this phone,At this range it's top of the andriod phones : - With Andriod 2 froyo, capacitive touch screen (with good touch response), great sound quality (with or without headphones, 5 MP camera. But the only issue is why samsung not provided a flash with camera because camera is nice and take very good snaps & videos if flash is their then this is one of the top est phone in "andriod 2 foryo budget phone". i just bought the phone today, and looks very flash. it has a really sensitive screen for a low budget phone, and so far i am really inpressed with it. the camera is a touch screen which i was worried about, but its self focus is good and i am impressed. there is no real good zoom, but it didn't bother me, unless you use it below 5 megapixel. it has message conservations which is good as weel. all in all for the price i would rate it very well. the only thing i need To know To decide buying between the galaxy mini and fit IS which one has better loudspeaker and sound quality . can you please help me out with that? so i can regain sleep again ha ha p.d so far in those two reviews i rode that galaxy mini calling quality IS supreme than fit's IS that also true?? Thank you. suddenly my keypad gravity sensor...as in horizontal keyboard across the phone is not working...can anyone help with the settings ? I brought Samsung Galaxy fit but there is some problem with its keypad light. The keypad light remains off all the time. kindly help me by providing solution to it. how should i proceed? Can the samsung galaxy fit be upgraded to Android 2.3 (gingerbread) from 2.2 (froyo)?? yes. 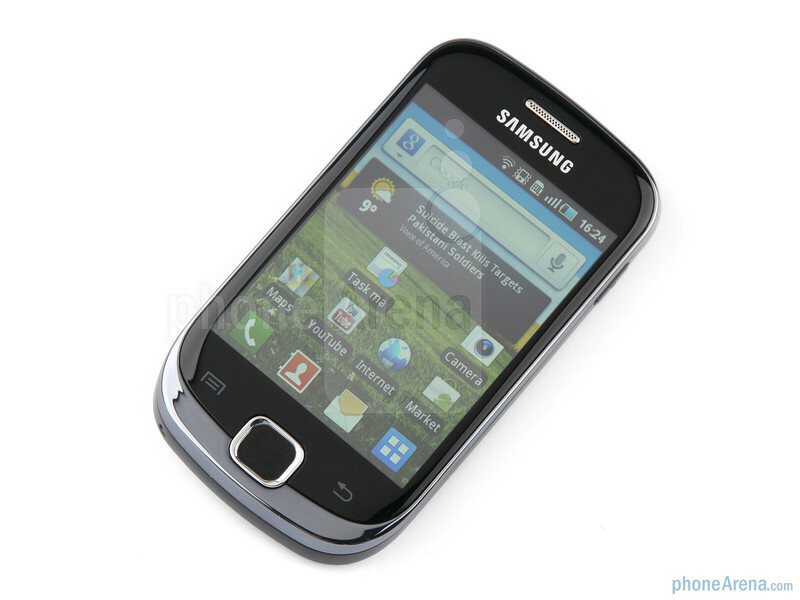 the galaxy fit can be upgraded from android 2.2(froyo) to android 2.3(gingerbread). just type in google-'how to upgrade samsung galaxy fit to gingerbread' and search it. then go to ur desired link and follow the instructions of upgradation. hi.......!!! m lkng forward to buy an android phone and m totally confused between 2 phone and that is: 1. samsung galaxy fit 2. dell xcd 35 plz tell me whch 1 is btr........plz. aniki.. please do not go for the dell xcd 35 phone. the phone hangs automatically often. the app support and the battery life is very poor. all in all a great blunder by dell. the samsung is a better option. one of my frnd owns it and its going on great..
hold your finger on the message for 2 seconds and a menu will appear.. there press forward. Is Galaxy fit better than Galaxy 3 ????????????????????? 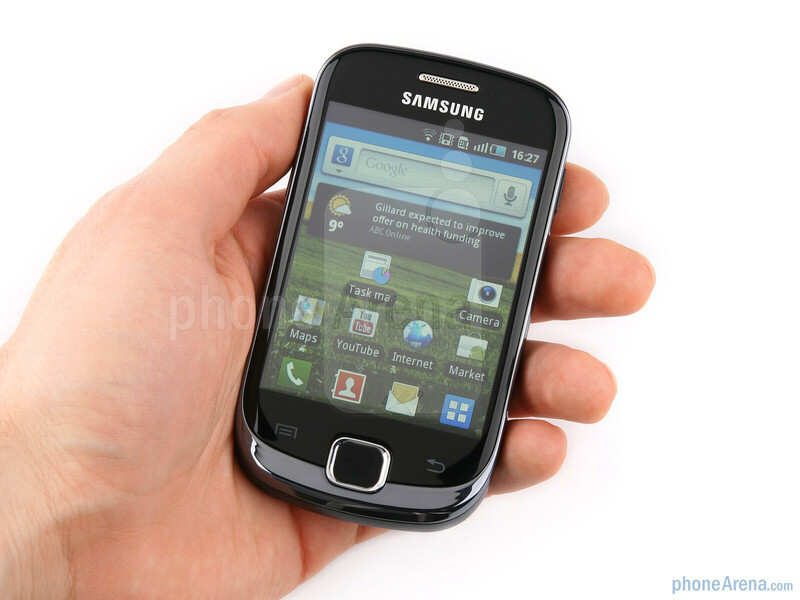 Just go and upgrade ur galaxy fit to android 2.3 (gingerbread). u will find an increase in ur battery life. oOr the second option is to download the battery booster apps from android market. No permission to edit photo from computer teken with galaxy fit. Any one resolve the problem?